Specifically, since October 2009, Greece has fallen prey to a handful of criminals who intentionally and following a detailed plan, have been tearing the country apart. Unfortunately, to this day no one has managed to stop them. Due to the situation described above, from October 2011 and as a final attempt to save lives, two appeals at least have been sent to the International Criminal Court, while thousands of Greek citizens have already requested from the Prosecutor in charge, to prevent the total destruction of the country and its people whose contribution to the global civilization from ancient times to this day is priceless, but who, at the present time, find themselves wretched, humiliated, exhausted, impoverished and abased, due to the political and state leadership of the country. Therefore, it is obvious that these appeals involve crimes against humanity and genocide being currently perpetrated. Genocide may possibly sound too harsh a term, and such a crime being committed in modern Greece, a member of the European Union, may beggar belief, but exaggeration is not an issue here. Therefore, not only are these means exceptionally effective, but compared to gas chambers, they have an unparalleled advantage: the detection of their existence, aims, power and effectiveness is very difficult. Because results are what matters, taking a look at Greece today is proof that the “weapons” of choice were appropriate and used efficiently. Some of these results they achieved in two years are: the country is shunned from the markets and has become a laughing stock, it has lost any semblance of standing and sovereignty, and after the recent debt restructuring, it is bankrupt and under foreign administration. Governmental lending has skyrocketed and the public debt is unsustainable, business indexes and the market have collapsed, GDP has dramatically shrunk, the value of state property has reached rock-bottom, tens of thousands of businesses have closed, unemployment is up by 242% and for the first time in Greek history, already from july 2011, those employed was fewer than those with no source of income at all. The majority of the population live below the poverty line, and a lot of people are in danger of losing their freedom because they can’t pay taxes and fees anymore. Day by day, more and more people no longer have access to food, shelter, medicine and medical care, schools and hospitals are closing, parents are forced to leave their children in various institutions as they can no longer afford to care for them, while pupils go to school without books and faint due to starvation. The Greek energy system has collapsed, there are power shortages, long forgotten diseases have reappeared due to the massive influx of illegal immigrants, poverty and insufficient medical care. The centre of Athens is now a ghetto and all big cities are swarming with homeless people. There is a reign of terror over society, the dignity of the Greek nation has been smashed to pieces and the whole country is suffering from depression. And this is only the beginning because to the present, many people have survived by any means they could, whether that involved living on the savings they still had, selling off their assets, relying on their family, exchanging products and services, or surviving on solidarity alone, as society has instantly become more sensitive to its weaker members and takes care of them. In this framework soup kitchens, food banks, social groceries, clinics and pharmacies have sprouted up all over the country and distribute free products and services to anybody in need. In order for these social networks to survive (food banks, clinics etc) lot of help has received from abroad. From the Diaspora, from the Church of Cyprus and Russia, from organizations such as Doctors Without Borders, Doctors of the World, etc. Taking into consideration that the adverse consequences of the “salvation” actions on national economy and society, are increasing exponentially with the time, very soon, not even these HUMILIATING models of survival will work. So what’s next ? Certainly the complete catastrophe. A holocaust. And no doubt about this, if you know that new successive attacks against the people have started on these days. What kind of attacks ? The usuals. Specifically, in a context of a continuous psychological violence and massive violations of basic human rights, new hikes in taxation, new cuts in salaries and pensions, new increases in utility bills, and additional lay-offs of 15.000 people for 2012 and another 150.000 until 2015, was started, or are ready for implementation. In this way, even those who still have an income, will suffer a drastic reduction or will lose it completely, and all the adverse consequences will be increased rapidly. – we must pay the State for giving us the right to have electricity (this right cost 3 to 16 euro for per square meter, per annum ), the right to self-employment or to have a business ( this one costs in the best case € 400 per annum). Another “curiosity” is that every year, all private sector must pay in advance the income tax for the next one. Ok, all of these are not fair, but the question is, without income how are we supposed to pay all this money ? – in November 2011 the number of employed amounted to only 3,901,269 people, the basic salary is now € 487,45 for persons older than 25, about € 400 for the rest, and the cost of living in Greece is higher than that in a many European countries with better salaries. And the point is that these people with such salaries have to pay crazy taxes and fees, to it and to support and feed all the others !!! Please see below some more details on the situation in Greece and help to put an end to it. And keep always in your mind that we are speaking about a modern western country member of the EU, which “happens” to be the cradle of western civilization. Then consider this: If all of this are possible in a country like this, why not somewhere else? If a symbol can be destroyed, why not what it symbolizes? The summer of 2008 marked the commencement of public discussions on the financial crisis. An international crisis caused by foreign events, said the then Karamanlis government, local and due to governmental policies, said the leader of the opposition, Mr. Papandreou. Not long after, the latter called for premature general elections using the state of the economy as an excuse, claiming that the government’s financial policy, which was based on privatizations and austerity measures was erroneous and would with mathematical certainty lead to recession and ruin.. In the end, in 2009, Papandreou took advantage of the pending elections for the President of the Democracy, brought down the government in a coup-like fashion and brought about his much desired premature elections. Parliament closed on September 2, 2009 just two years after its formation and the elections took place on October 4. At the time, most countries were plagued by the economic crisis and more or less, Greece was experiencing the same problems as they were. But for Greece, taking into consideration its unique advantages, it would have been a piece of cake to exit the crisis, if had there been any such intention…. – it was one of the very few western countries, maybe even the only one, which owned significant public property, rich unexploited subsoil, and very profitable state-owned utilities. Immediately after his coming into power, Mr. Papandreou simply and completely ignored the lot (his promises, the country’s assets, his duties etc) and, as it later proved, set about implementing a plan to destroy the country, hinged primarily on a basic repeated pattern: delivering blows to the county’s credibility and prestige, paralyzing the state and implementing savage austerity measures. With such a plan in place, and with the blessings of the President of the Greek Democracy, Mr .Papandreou and his government succeeded in tearing the economy, the state of law and the social fabric of society to shreds. In other words, they managed to prove with their actions that it is indeed true that austerity measures lead to the vicious circle of collapse and that, before the elections, they knew exactly what they were talking about: only growth, social justice, and the proper functioning of institutions can solve problems and bring prosperity. Today, all the above phases are complete and the country has been surrendered to its creditors, who have taken over the administration and thus, effectively began the process of forced execution of their claims. And Mr Papandreou which job is finish is ready now to leave the country. – the 10th day he declared on Reuters that ‘The situation of our economy is explosive.” “Today we face unprecedented fiscal derailment,” “We are in an emergency situation, everyone must understand that.” At that point, an unprecedented and incredible defamation campaign of Greece started, with him declaring left, right and centre, at every opportunity that the country is bankrupt, it is unreliable and corrupt, with a revenue collection system in tatters, and a parasitic economy. – he repeatedly increased direct and indirect taxation and proceeded to introduce horizontal cuts to salaries and pensions, brutally attacking middle and low incomes. After a while, many people started living below the poverty line, thus being unable to pay taxes. In spite of the above, he went ahead with his policies: new fees was implemented and new tax increases followed, coupled of course by further salary and pension cuts again and again. What was the result? What should have been obvious to a 5 year old: Society was becoming more and more impoverished day by day, but without the state receiving more income. On the contrary, in fact after each austerity raid, more and more companies went out of business and the tax payer pool decreased. Nevertheless, his Government remained firm in its policy: taxes, fees and cuts. 1. Since March 2010, he implemented an unprecedented Immigration policy, because of which, the number of illegal immigrants flocking daily to Greek territory exploded. The small, indigenous, already aging population was heavily hit and because most immigrants are young people who come and settle in Greece to raise a family and have many children, while Greece is suffering from negative birth rates and the young people are migrating abroad, greek population will be rapidly assimilated by the newcomers. Add to this, the constant turmoil around the world and the successive waves of illegal immigrants as a result of the first, it is obvious that very soon the inhabitants of this country will no longer be Greeks. – foreign children born in Greek territory immediately receive the Greek nationality, even those of illegal immigrants, thus they can legitimize all first degree relatives. As a result, pregnant women from Pakistan, Afghanistan and other Asian or African countries illegally enter Greece, augmenting the already large number of foreigners who continuously enter the country illegally. On the other hand, we should also take into account the tragedy the immigrants experience. If we are facing the problems I have already described you could imagine the poverty and the miserable conditions they are living in. And if you do this, it is understood why many of them are led to illegality. According to police records immigrants take the lead in criminality since an endless vicious circle has been created by all these problems. Unfortunately, the inspirator of the law hasn’t hesitated to take advantage of people’s misery and use it against local population and vice versa. Who has abandoned home and has gone abroad if necessity hasn’t forced him to? Nobody. 2. On April 2010, when he had already managing to raise lending interest rates and Government deficit and debt with his defamatory campaign and the rest of his tricks, he claimed inability to borrow for pay off salaries and pensions and imminent danger of ‘bankruptcy’. In order to solve this “problem”, despite there being no need for it, without even looking into other options, without even going out to the markets, and ignoring low-interest loans that China and Russia offered, he voluntarily appealed to Troika (EC, ECB and IMF) asking for a high-interest loan €110Bn. A few months later, he asked for another loan of €130Bn, and that, more or less, means that in less than a year of his serving as Prime Minister, he asked for more money than Greece had borrowed in 35 years! Note: On april 2010, the markets were lending us money, but due to him, they were lending us at high rates and the declaration that there was no money to pay salaries and pensions was obviously false since the total revenues of the General Government (Central Public Government, Local Government, Public Law and Social Security) were, during the eleven years between 2000 and 2010, higher that the expenses required to pay salaries of civil servants and pensions of all kinds. – wavering responsibility for everything that led to this situation. More accurately, he lay the blame at the door of a) the previous government which hid the deficit prior to the elections by sending the EU “cooked” forecasts for the end of 2009; b) the citizens who were corrupt and tax evaders (thieves and crooks in other words) c) the markets for not giving him enough time to improve the economy d) the EU who didn’t handle the Greek “crisis” appropriately, e) the leaders of other countries and f) above all TROIKA (as if they were then ones who forced him to take out the loans, and more specifically, loans from them and them only ). With such behaviour he managed to divide public opinion, extensively damage the country’s image abroad, as well as greatly damage the relations of Greek people with other peoples. – “Debt-terrorism”, which was utilized on one hand to secure the people’s consent by causing them to feel as co-conspirators and accomplices concerning the debts that others had struck up, but he (who was “corrupt”, a “parasite” and “tax evader”) had to pay, and on the other hand, to disarm popular resistance against the destructive application of pre-decided destructive policy. Indicatively, Mr. Papandreou has been sued for systematically abusing power, for disruption and deterioration of the democratic institutions of the country, for slandering and others. He has also been accused of the fact that the above actions allowed him an unjustifiably prolonged presence on the country’s political stage which also provided him with monetary benefits – rewards for his service to the community which he was asked to return with interest in the lawsuits against him. Beyond these benefits, it seems there were more. Thanks to his political activity, it appears he was the recipient of numerous illegal and controversial benefits for himself and his immediate family, ranging from commissions, speculating on CDS, and other activities from which he amassed profits exceeding €2Bn. Regarding CDS, there was an enquiry at the European Commission (cf Question for written answer to the Commission, Rule 117, Andreas Mölzer (NI) Subject: Greek Prime Minister speculating against his own country ) as well as numerous publications that revealed clues, not only concerning CDS but also the “green energy project” that also seems to have been a source of illegal profits. All these accusations were ignored until now as was more than 10 indictments of high treason against him, government and/or parliament. Usually, complaints are examined after 1 year or more, and if current or former government officials are involved in them, cases are instantly forwarded to the Parliament, which is in these situations the only competent “prosecutor”. Due to the whole situation and because here, in one way or another, all current and former politicians and all their partners enjoy full immunity from criminal offenses they may commit during their stint in governmental office, we decided to turn to International Courts. And so, on 09.11.2011, without anybody realizing it, he resigned along with his government, but instead of calling for parliamentary elections in the manner provisioned in the Greek Constitution, on 11.11.2011 (the last day of his presidency of PASOK), an employee of his Office, Mr Loukas Papademos was made prime minister as the chief of a coalition government. Thirty-five (35) members of the outgoing government were reinstated in the “new” one, and the rest of the members was taken from ND and LAOS. In this way no more opposition remained in the parliament. Any way. The official mission assigned by the President to the illegally appointed Prime Minister was, the adherence to the letter of the policy of Mr Papandreou, which was an already proven recipe for the destruction of the economy, of the society and of the State of Law, and all the while leading the Greek people to despair, poverty, depression, misery and many unnatural deaths. More specifically, the mission was the finalization of the 2nd Loan Facility Agreement. With this in mind and in order to “save the country” once again from bankruptcy, Papademos government decided on new austerity measures and in this way the 2nd Loan Facility Agreement was approved and the mission was successfully completed. Mr Papandreou on his part, abused his position of leader of the PASOK by not stepping down from office on the agreed date, thus being able to maintain full control, to rule from behind the scenes and to keep enjoying the benefits of power until the completion of his plan. After the second appeal to the ICC, the ruling government of the country, decided to call parliamentary elections in which, via new threats, more blackmail and pseudo-dilemas, the terrified Greek people were called upon to decide on a future that had already been decided for the people without the people by the governments in power since 2009. So, with a view to renewing parliamentary mandate in order to deal with a problem of extraordinary importance for the nation (! ), the government asked from the President of the Republic to dissolve the Parliament. The elections were held on May 6, but because peoples vote was “wrong”, after these elections it was impossible for the new Parliament to find a government. For this reason the parliamentary elections was repeated on 17 of June, but this time the electorate had no the right to vote candidates MP !!! In this way, the problem was solved. The “new elected” Greek Parliament have immediately find a new three-party coalition government, and …. surprise !!! The new internal troika, exactly like the previous one, is formed by ND, PASOK and a walk-on. Anyway. Back to the appeals now. finally, it is evident that the only thing this country needs, is to be saved from its “saviors” . Greece is dying and only justice can help. No money, no elections, no new government. Nothing. Only justice! Everything else comes second. Please help us to send the criminals to jail. Please sign the petition and inform all your friends and relatives about the situation, before it is too late and before the effects will spread to other countries. Help us to save our country and our lives, and who knows, maybe your own country and your own life. Save Greece, Save Democracy, Save the world ! Human rights violations by Greek law enforcement officials include the use of excessive force against largely peaceful protesters and the ill-treatment of individuals during detention. The authorities consider such violence to be “isolated incidents”. However, the Greek authorities must acknowledge the extent of these violations and take measures to address the systemic problems which contribute to such abuses. Until these problems are tackled impunity will continue to prevail and the vicious circle of such abuses will not be broken. BBC: Greek hospitals tighten payment rules / Δεν δίνουν στις Ελληνίδες τα παιδιά τους αν δεν πληρώσουν! They apparently live well enough, including the caviar socialists of Syriza. They let their country bleed to death literally, morally, socially and psychologically. Medical care is no longer available or privatized and unaffordable. Pensions were reduced five times. They were never more than a survival kit. By now they have been slashed in some cases by over 50%. Hordes of people live on food handouts. Most social services, including to a large extent education have been sold out, privatized. Gone with a flicker. Gone, by order of Germany – and the holy troika – the criminal gang of three, IMF, European Central Bank (EIB) and the European Commission (EU); the latter a mere bunch of unelected corrupt puppets, deciding the fate of some 800 million Europeans – with YOU, the Greek people, accepting carrying the brunt end of the stick. In September 2016, the unelected European Commission sent Greece a Brussels-drafted legislation of over 2,000 pages, in English, to be ratified by the Greek Parliament within a few days – or else. – Nobody asked: ‘What is else’? Brussels didn’t even bother translating this unreadable legalistic heap of paper into Greek, nor did they allow the Parliament enough time to read, digest and debate the new fiscal legislation. Most parliamentarians could not read them, either because of language or due to the imposed time limit. The Parliament ratified the legislation anyway. Under this new law, Greece is transferring all public assets (public infrastructure, airports, ports even public beaches, natural resources, etc. ), unconditionally, for 99 years, to the European Stability Mechanism (ESM) which is free to sell (privatize) them at fire sales prices to whomever is interested – supposedly to pay back the Greek debt. The fund was originally estimated, certainly under-estimated – at about 50 billion euros. In the meantime, the value of the Greek assets has been further downgraded by the troika to between 5 and 15 billion euros, as compared to Greece’s debt of more than 350 billion euros. The ESM is a supranational undemocratic apparatus, accountable to no one. With this legislation, the Greek Parliament – YOUR Parliament, Esteemed People of Greece! – has annulled itself. It is no longer allowed to pass any budget or fiscal (tax) legislation. Everything is decided in Brussels in connivance with the IMF and the ECB. The last time a similar situation happened was in 1933, when the German “Reichstag” (Parliament) transferred all of its legislative power to Chancellor Adolf Hitler. This, Dear People of Greece – is sheer economic fascism, right in front of your eyes, the world’s eyes, but nobody wants to see it. The worst blind is the one who doesn’t want to see. This asset seizure was confirmed when the last hope for at least some debt relief was dashed at the end of February this year. Even the IMF initially recommended and today still privately recommends debt relief. However, Germany without mercy announced the final pillage of Greece, requesting Greece to surrender gold, utilities and real estate to the ESM – largely managed by Germany. The next ‘bailout’ amount, if Greece goes to her knees and surrenders everything, might be 86 billion euros, meaning NEW DEBT. In exchange of what? More interest, a higher debt service (interest and debt amortization) — and an even bleaker outlook to ever, and I mean ever, getting out of this US-European fascism imposed process of killing of a nation. Chancellor Angela Merkel is reported to have said, “Berlin’s stance on Greece’s bailout program remained unchanged”, after she met with IMF chief Christine Lagarde a few days ago (http://russia-insider.com/en/greece-surrender-gold-public-utilities-and-real-estate-exchange-pieces-paper-printed-brussels). Debt: 352 billion euros (interest per second: 617 euros; debt per citizen: 32,580 euros). Interest per year: 19.5 billion euros. Total Greek bailout funds from 2010 to end 2016: in excess of 250 billion euros – none of which went to Greece for the benefit of the people, but to pay debt service to the troika and pay off mostly German and French private banks. 2008 Debt to GDP: 109% (less than today’s US debt to GDP ratio of 109.63%). Greece’s GDP amounts to less than 2% of EU’s GDP. Greek GDP has collapsed by more than 25% since 2008. Unemployment is rampant – with an average of 26% – and close to 50% for young people (18 to 35). Greece’s debt in 2008 would have been totally manageable internally, without outside interference, or so-called ‘bailouts’ – which are really not bailouts but forced debt accumulation. Greece’s debt was NEVER a threat to the European Union, as the FED / ECB / WS bankster propaganda made you believe. The Greek and subsequent “European Crisis” was entirely fabricated by the banksters for their benefit, at the detriment of Greece and Europe. It had nothing to do with the Greek or European debt. But nobody questioned it. Those European and international top economists and politicians who knew, didn’t dare to speak out. The voices of those who did dare to speak the truth were muffled. The people of Europe were lied to, including the Greek, as usual by the presstitute media. Let’s put the Greek debt in perspective. In September 2011, without warning, the Swiss National Bank (SNB) devalued the Swiss franc by about 12% against the euro to protect its economy. This was an unfair move – to say the least, since none of the euro-zone bound countries has the liberty to re-or devalue its currency, as deemed necessary by their economy, i.e. Greece. While Switzerland is not a direct member of the EU, Switzerland is nevertheless bound to the EU by more than 120 bilateral contracts, thereby de facto a EU member. During the 3 ¼ years of locking the exchange rate into a fixed rate of at least CHF 1.20 per euro, the SNB amassed more than 500 billion francs in extra foreign currency, mostly in euro. This is about 150% of Greece’s current debt. Switzerland, a country of 8 million people, in theory, could bail out Greece’s full debt, say, at no interest, by a 50-year loan (World Bank IDA terms) – in solidarity; and to compensate a bit for the SNB’s questionable ethics vis-à-vis EU members. Switzerland would not suffer. To the contrary, such a move would help stem the risk of a Swiss currency inflation, due to the huge amounts of Swiss francs that needed to be ‘printed’ to maintain the artificial exchange rate against the euro. Would Switzerland be prepared to engage in such a solidary rescue action? –Probably not. People of Greece! – Wake up. Take things in your own hands! Don’t believe you politicians, your media! Get out of this criminal organization called the European Union, and this fraudulent western monetary system that is strangling you to death. Take back your sovereignty, your own currency. Default on your debt – the west can do nothing about it. Not if you run your country with your own public banks, and your own money, gradually but surely rebuilding a destroyed economy. Debt repayment is negotiable. Cases abound around the world. Argentina is one of the more recent ones. Even Germany renegotiated its foreign debt in 1952 (see London Agreement of German External Debt). Germany, the leader of this economic massacre of Greece, owes Greece huge WWII reparation payments. On 8 February 2015, PM Tsipras requested Germany to pay up her full reparation debt to Greece of an equivalent of 279 billion euros, in today’s terms. Germany replied in April 2015 that the reparation issue was resolved in 1990 – which, of course, it wasn’t. It cannot be excluded that much of the German pressure on Greece today is a means of deviating the world’s attention of the reparation debt Germany owes to Greece. People of Greece, be aware of what is going on. Do NOT ACCEPT what your government, Brussels and the troika are doing to YOU and YOUR country. To the contrary, request the full reparation payment from Germany – and demand GREXIT, as a fully legitimate follow-up to YOUR July 2015 overwhelming NO vote to more austerity-imposing troika ‘rescue’ packages. If you do, you will soon see the light at the end of the tunnel — a light that has been blacked-out for too long by Germany and the gangsters of the troika and your own government. German Finance Minister, Wolfgang Schaeuble still is attempting bluffing the Greeks and impressing the rest of the world by threatening Greece with expulsion from the Euro. Any sane government would turn that threat into its own initiative and abandon this putrefied monster called European Union, along with its fake and fraudulent common currency, called euro. But that’s the problem, Greece is reigned by insanity. So, the Greek Government responds to insanity (from the troika) with insane submissiveness, namely with meek compliance – to the detriment of millions of their already deprived and enslaved compatriots. Nobody screams, yells, revolts, takes to the streets, blocks streets, bridges, railways, for days, weeks, interrupts the still ongoing commerce of the foreign owners of what’s left of YOUR country’s public assets. Nobody. This is not to blame the Greek who have to fight for sheer survival, who have to find ways to feed their kids and families, but the j’accuse goes to the Tsipras- Syriza clan and all those Greek elitists, the media (are they all bought like in Germany by the CIA?) and parliamentarians, who just watch in awe – but stand by. No action. Watching Greece – YOUR country, People of Greece! – bleeding to death. Be aware, this is in fact not about debt and bailouts. If they tell you that the European ‘debt crisis’ is Greece’s fault, and that a new crisis is brewing, depending on how well Greece will conform to the rules of the next bail out – it is an outrageous lie. This crisis is manufactured by the very European, their elite, the FED-led Goldman Sachse’s of this world, who run the European Central Bank through Mario Draghi, a former GS executive – who de facto runs the European economy. Why do they want Greece under their boots? – They, the scum of Brussels and ‘swamp’ of Washington (as President Trump used to call the Washington Deep State ‘establishment’), want a submissive Greece. Because Greece is in a highly strategic geographic location, at the cross-roads of west and east. Greece is a NATO country. Maybe the second most important NATO country (after Turkey), because of its strategic position. They don’t want Greece to be run by a ‘left-wing’ government. Syriza, of course, is everything but left-wing. It is as neoliberal as they come. The masters of the universe want ‘Regime Change’ – the good old regime change that threatens all those who do not bend to the rules of the west. Right now, the Syriza government is bending backwards over to please the money masters and to let her people be miserably humiliated and ruined. Were Greece to hold new elections and let a right-wing party and Prime Minister win, à la New Democracy or even the fascist Golden Dawn, or a coalition of the two – the debt problem would go away, almost overnight. What Washington wants, and Brussels by (puppet) extension, is a compliant Greece that will never ever question its role in NATO, never question the EU, never question its shackles to the euro, and never question the US access to the Mediterranean Sea – rich in deep off-shore minerals and hydrocarbons. The same applies, by the way, also to Italy, Spain and Portugal – also riparian states of the Mediterranean Sea. Their governments have already been changed by outside (US / EU) interference to right-wing neoliberal compliant stooges. The Greek elite and government inaction is inexcusable. This is Stockholm syndrome at its worst. Submissive to their hangman, until death do us part. And death in the form of total destruction, total pillage, total slavery, is not far away. Do you, People of Greece, want to continue this path to slavery by a predatory empire, that will eventually call the shots on every move you make? Or do you want to get your sovereignty back, your own currency – and be unshackled from the dictate of Brussels – and start afresh – as the noble and wise Greek people, who brought Democracy to the world some 2500 years ago? – Surely, Greece still has visionaries and the wisdom to remake Democracy. Remember, while we cannot change our geographic location – the future is irrefutably in the EAST. 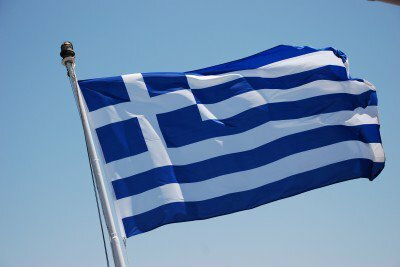 Long live the People of Greece! *Peter Koenig is an economist and geopolitical analyst. He is also a former World Bank staff and worked extensively around the world in the fields of environment and water resources. He lectures at universities in the US, Europe and South America. He writes regularly for Global Research, ICH, RT, Sputnik, PressTV, The 4th Media, TeleSUR, TruePublica, The Vineyard of The Saker Blog, and other internet sites. He is the author of Implosion – An Economic Thriller about War, Environmental Destruction and Corporate Greed – fiction based on facts and on 30 years of World Bank experience around the globe. He is also a co-author of The World Order and Revolution! – Essays from the Resistance . Debt Fraud: Greece Actually Owes Nothing! European banks were bailed out, not the people of Greece ! Την τραγική οικονομική κατάσταση στην Ελλάδα, και ιδιαίτερα στην περιφέρεια, μετά από οκτώ χρόνια κρίσης, καταγράφουν οι Financial Times, μέσα από οδοιπορικό τους στην Ηλεία. Με αφορμή οδοιπορικό σε χωριά του νομού Ηλείας (Εφύρα, Ροβιάτα, Οινόη), το περιοδικό των Financial Times φιλοξενεί εκτενές άρθρο για την οικονομική κρίση στην Ελλάδα, οκτώ χρόνια μετά το ξέσπασμά της, «ζωγραφίζοντας» την κατάσταση με τα μελανότερα χρώματα και απορώντας πόσα ακόμα μπορούν να αντέξουν οι Έλληνες. «Κινδυνεύουμε», λέει στους FT ο Άγγελος Πετρόπουλος, αρτοποιός και δήμαρχος της Εφύρας. «Τα πάντα πάνε χειρότερα. Του χρόνου ακόμα περισσότερο. Οι γέροι θα πεθάνουν. Οι νέοι δεν θα μείνουν. Χρειαζόμαστε βοήθεια». Αυτή η έκκληση ακούγεται όλο και περισσότερο σε όλη την Ελλάδα, μετά από οκτώ χρόνια οικονομικής καταστροφής, γράφει ο συντάκτης των FT. Σήμερα η χώρα έχει γίνει συνώνυμη των βίαιων οικονομικών, πολιτικών και κοινωνικών επιπτώσεων της κρίσης του 2008. Η οικονομία συρρικνώθηκε κατά σχεδόν ένα τρίτο τα χρόνια που ακολούθησαν και η κυβέρνηση είναι ουσιαστικά χρεοκοπημένη χωρίς εξωτερική βοήθεια: χρωστά περίπου 320 δισ. ευρώ, σχεδόν το διπλάσιο του ΑΕΠ της χώρας. Οι επιπτώσεις αυτών των οικονομικών δυσκολιών γίνονται τώρα αισθητές σε όλη τη χώρα. Η ανεργία βρίσκεται στο 23%, και το 44% των ατόμων ηλικίας 15-24 ετών είναι άνεργα. Πάνω από το ένα τρίτο των Ελλήνων στερούνται τα βασικά, όπως θέρμανση ή τηλεφωνική σύνδεση. Το 2015, το 15% του πληθυσμού ζούσε σε συνθήκες ακραίας φτώχειας, έναντι του 2% το 2009, σύμφωνα με πρόσφατη έκθεση της διαΝΕΟσις. «Υπάρχουν οικογένειες που δεν έχουν τίποτα να φάνε», λέει στους FT ο κ. Πετρόπουλος. Όπως αναφέρεται στο άρθρο, το καλοκαίρι του 2015 η Ελλάδα έφτασε στο χείλος της οικονομικής καταστροφής, με την ΕΕ να προειδοποιεί πως αυτό μπορεί να θέσει σε κίνδυνο το μέλλον της Ευρώπης. Μετά από μήνες πολιτικών ακροβασιών από την ελληνική κυβέρνηση και τις ευρωπαϊκές αρχές, η Ελλάδα έλαβε πακέτο 86 δισ. ευρώ, το τρίτο πακέτο διάσωσης μέσα σε πέντε χρόνια. Αν και η χώρα βρίσκεται αναμφίβολα σε καλύτερη κατάσταση οικονομικά απ’ ό,τι ήταν πριν από δύο χρόνια, ωστόσο η κοινωνική κρίση έχει ενταθεί. Ως αντάλλαγμα για τη διάσωση, οι αξιωματούχοι απαίτησαν περισσότερα μέτρα λιτότητας. Οι δαπάνες στα νοσοκομεία, στα σχολεία και στο δίκτυο κοινωνικής προστασίας έχουν πετσοκοπεί, αφήνοντας όλο και περισσότερους από τους πιο ευάλωτους Έλληνες χωρίς στήριξη. Οι Ευρωπαίοι αξιωματούχοι μπορεί να χαιρετίζουν τις ενδείξεις ότι η ελληνική οικονομία βελτιώνεται, όμως φαίνεται απίθανο να υπάρξει κάποιο σημαντικό σημείο καμπής. Με πολλούς τρόπους, πρόκειται απλά για μια ανάκαμψη στα χαρτιά, σχολιάζει ο συντάκτης των FT: η φτώχεια αυξάνεται και η ανεργία εξακολουθεί να είναι η υψηλότερη στην Ευρώπη. Υπενθυμίζει την έκθεση του ΔΝΤ τον περασμένο Σεπτέμβριο, στην οποία το Ταμείο ανέφερε πως η Ελλάδα έχει κάνει τεράστιες θυσίες για να φτάσει εκεί που είναι, όμως τα σημαντικά επιτεύγματα στον εξορθολογισμό του προϋπολογισμού, στη μείωση του ελλείμματος και στη βελτίωση της ευελιξίας στην αγορά εργασίας, είχαν «μεγάλο τίμημα για την κοινωνία και δοκίμασαν τις αντοχές της». Την ίδια ώρα, αυξάνονται οι αντιδράσεις των δυσαρεστημένων ψηφοφόρων,με το κυβερνών κόμμα να βρίσκεται σε «ελεύθερη πτώση» στις δημοσκοπήσεις. Οι FT κάνουν λόγο για πολιτική αστάθεια, σημειώνοντας πως το ενδεχόμενο νέων εκλογών ή κατάρρευση των διαπραγματεύσεων για τη μελλοντική οικονομική βοήθεια γίνεται ακόμα πιο πιθανό. 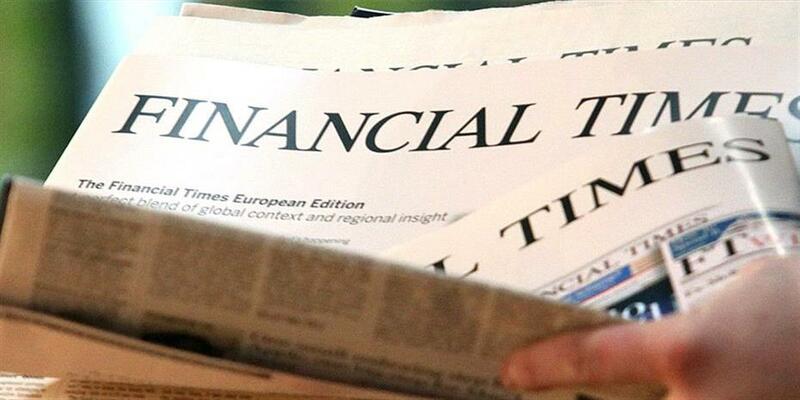 Οι Financial Times κάνουν αναφορά στα ελληνικά χωριά, που σε περιόδους εθνικών δυσκολιών προσέφεραν ένα καταφύγιο, λέγοντας πως σήμερα αντιμετωπίζουν μεγάλες δυσκολίες, αφού ακόμα και μικρές περικοπές στους δημοτικούς προϋπολογισμούς αρκούν για να βάλουν τέλος σε ζωτικής σημασίας υπηρεσίες. Πολλά σχολεία έχουν κλείσει, δρομολόγια λεωφορείων έχουν καταργηθεί, αναγκάζοντας τα χωριά να εκτελούν τις συγκοινωνίες τους με ταξί. Οι σαρωτικοί νέοι φόροι έχουν ήδη δημιουργήσει πρόβλημα επιβίωσης των κοινοτήτων. Είναι σύνηθες από μια σύνταξη, που μπορεί να είναι και μόλις των 300 ευρώ μηνιαίως, να στηρίζεται μια ολόκληρη οικογένεια, γράφει ο συντάκτης του άρθρου, τονίζοντας πως οι πιέσεις εντείνονται, λόγω των περικοπών σε συντάξεις και μισθούς και τις αυξήσεις στον ΦΠΑ. Νέοι άνθρωποι φεύγουν από τα χωριά σε αναζήτηση εργασίας σε μεγαλύτερες πόλεις, μειώνοντας τον αγροτικό πληθυσμό της χώρας κατά 2,5% μέσα σε οκτώ χρόνια, γράφουν οι FT, συμπληρώνοντας πως αυτοί που έμειναν στα χωριά μιλούν για εγκατάλειψη. «Οι απαιτήσεις της τρόικας δεν έχουν επηρεάσει τους πλούσιους αλλά τους πιο φτωχούς», δηλώνει η Λίτσα Ανδριοπούλου, ιδιοκτήτρια παντοπωλείου της Εφύρας. «Οι ανθρώπινες σχέσεις έχουν αλλάξει. Ο κόσμος κλείνεται στα σπίτια του. Δεν βγαίνει. Αυτοί που είχαν επιχειρήσεις εδώ τις έκλεισαν». Η Εκάβη Βαλλερά, γενική διευθύντρια της ανθρωπιστικής ΜΚΟ ΔΕΣΜΟΣ, αναφέρει πως «η κατάσταση επιδεινώνεται». «Αυτό που βλέπουμε είναι πως εκείνο που χρειάζεται περισσότερο τώρα είναι το φαγητό. Αυτό δείχνει πως τα προβλήματα αφορούν στα στοιχειώδη, όχι στην ποιότητα της ζωής». Όπως τονίζουν οι FT, η φτώχεια της Ελλάδας δεν περιορίζεται στις ιστορικά φτωχότερες αγροτικές περιοχές, καθώς εκατοντάδες χιλιάδες ανθρώπων αντιμετωπίζουν δυσκολίες και στις μεγάλες πόλεις. Στην Αθήνα, άνθρωποι κουλουριάζονται έξω από κοινωνικά ιατρεία, ενώ δεκάδες άστεγοι κοιμούνται στις εισόδους κτιρίων γύρω από τους μεγαλύτερους δρόμους. Εννέα χιλιάδες άνθρωποι στην Αθήνα (σε πληθυσμό περίπου 665.000 ανθρώπων) είναι άστεγοι και το 71% εξ αυτών άρχισε να κοιμάται στους δρόμους τα τελευταία πέντε χρόνια, σύμφωνα με έρευνα που διενεργήθηκε με τη στήριξη του δημάρχου Αθηναίων. Ναρκομανείς και πόρνες βρίσκονται λίγα μέτρα από ξενοδοχεία στα οποία τουρίστες πληρώνουν 200 ευρώ το βράδυ για ένα δωμάτιο με θέα την Ακρόπολη. Το πρόβλημα της Ελλάδας εντείνεται και από την προσφυγική κρίση, τονίζουν οι FT, καθώς περισσότεροι από ένα εκατομμύριο άνθρωποι έχουν φτάσει στην Ελλάδα τα τελευταία δύο χρόνια, δυσκολεύοντας ακόμα περισσότερο την κατάσταση στις παροχές του δημόσιου τομέα. Πάντως, δεν έχουν «αφεθεί» όλοι στη μοίρα. «Ναι, η κυβέρνηση δυσκολεύει όλο και περισσότερο τον κόσμο να βγάλει τα προς το ζειν, να έχει ένα κτήμα, να έχει μια επιχείρηση. Όμως πρέπει να προσπαθήσουμε. Δεν μπορούμε απλά να καθόμαστε και να περιμένουμε να έρθουν να μας σκοτώσουν», σχολιάζει ο Γιάννης Ρέτσης, από τη Ροβιάτα. «Πρέπει να είμαστε αισιόδοξοι. Αν είσαι στη θάλασσα, μέσα στα κύματα, πρέπει πάντα να λες ότι σύντομα θα δεις στεριά».